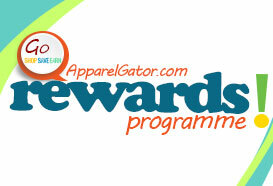 Save : Pay with Reward Points – No Minimum or Maximum limit. * You may not be able to combine this Free Shipping offer with other special and limited time offers. Like ApparelGator.com on Facebook and you will be automatically enrolled in a sweepstake to win $50 Gift Card through a draw once we reach our 7500 Fans on Facebook. Hurry up! 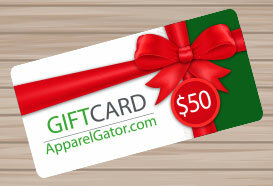 You could be the one to win our $50 Gift Card.